Our foyer has a new addition, an activity table. 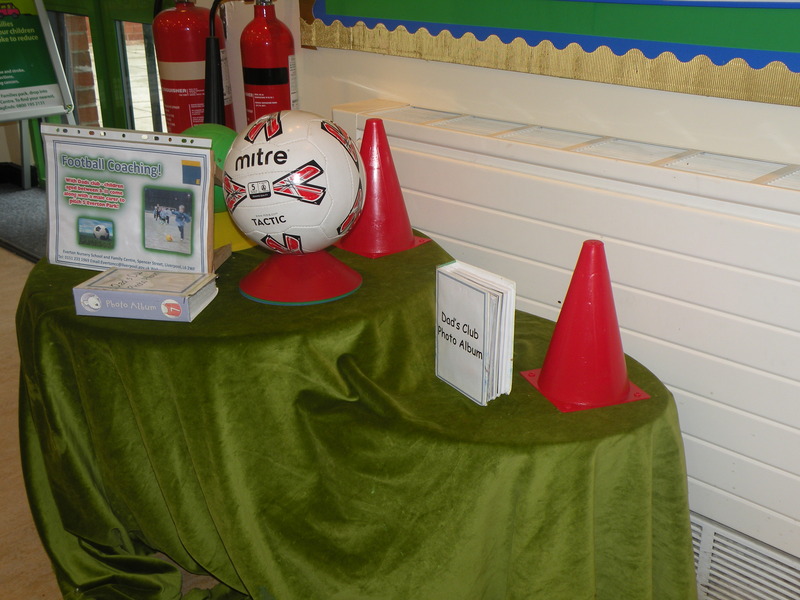 On the table a different activity will be advertised each week, this week it is the turn of the Football training sessions. Football Training is held on Wednesday evenings at 6pm at Everton Park. The sessions are open to all male carers (Dad’s, Uncles, Grandparents, and elder brothers over 18) and their children. For more information please call 0151 233 1969. To celebrate Children in Need, everyone at Everton Nursery School and Family Centre was asked to wear something spotty and donate £1. £82.90 was raised. A Cake sale was also held to raise funds for the School/Centre, £63.10 was raised. Hello, this is the first post on the Everton Nursery School and Family Centre blog. Keep checking back to find out about all the latest news at Everton.